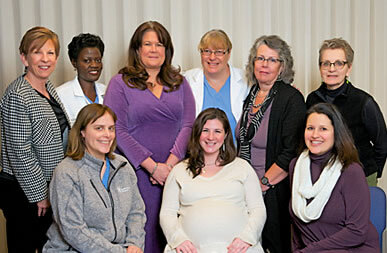 We now offer our patients the choice of full-service midwifery care in-office and at South Shore Hospital, if desired. Crown OB/GYN has partnered with South Shore Hospital to provide Midwifery Care to women seeking this option. Our Certified Nurse Midwives are experts in normal pregnancy, labor and birth and also provide well woman GYN care. To learn more, visit one of the monthly, “Meet With the Midwives,” nights at SSH, 2nd Wednesday of each month at 6-7 pm. Deborah Carlson, CNM; Mary Hogan-Donaldson, CNM and Joan Trueblood, CNM. Prenatal classes are available at South Shore Hospital to our patients. See the schedule and register for classes.